Many of the 33 nations that cast a vote in favor of the creation of the Israeli state on the November 29, 1947 meeting of the United Nations General Assembly probably didn’t know that the outcome of their vote will eventually become a manifestation of lawlessness and inattention to the internationally-recognized conventions and regulations; the conventions and rules that the same countries had once voted to institutionalize and ratify. But unfortunately, it’s true that today, the Israeli regime is the most unruly, violent and irresponsible member of the international community that thanks to its unshakable ties with the United States enjoys immunity to the international law and is exempt from any kind of accountability. Since its inception, Israel has been involved in the business of causing problems and troubles to not only its neighbors and the people whose homeland it occupies, but to the whole world. Israel’s treatment of the Palestinian people and the way it deprives them of their fundamental and natural rights embodies a clear violation of the principles of human rights and internal law. But instead of being held accountable over its criminal actions and policies, Israel continues to throw a spanner in the works of others thumb its nose at those who dare to criticize it. It’s indisputable that Israel’s security is extremely shaky and feeble and will collapse as soon as the United States decides to lift its unconditional support for Tel Aviv. However, now that the two allies enjoy warm relations, Israel is immune to accountability over its violations of international law, and keeps up doing things which could lead to severe punishments for any other wrongdoer. So, it’s not too exaggerative to say that Israel is wielding an unwritten veto power that allows it to practice violence and aggression and be exempt from any kind of responsibility. Let’s look in brief at some of Israel’s violations of international law and its illegal conducts which run counter to the rules and conventions which the world countries have long recognized. First of all, Israel’s occupation of the Palestinian lands is illegal and unjustifiable. It’s not only an unlawful practice at the first place, but its continuation is a violation of the Principle 1 of the “Declaration on Principles of International Law Concerning Friendly Relations and Co-operation among States” adopted in 1970. After the UN General Assembly Resolution 181 laid the groundwork for the creation of a Jewish state on the Mandatory Palestine, a 9-month-long war began between a military coalition of the Arab States and the Israeli forces in March 1948. As a result of the war, Israel occupied 60% of the regions which the UN General Assembly had allocated to the Palestinians, including the Jaffa, Lydda and Ramle area, Galilee, some parts of the Negev, a wide strip along the Tel Aviv – Jerusalem road, West Jerusalem and some territories in the West Bank. 19 years later, the Third Arab-Israeli War (also known as the Six-Day War or June War) which was fought between June 5 and 10, 1967, again gave Israel the opportunity to occupy and annex more Arab lands. Within six days, Israel occupied the Gaza Strip, the Sinai Peninsula, West Bank, East Jerusalem and the Golan Heights. “As for Occupied East Jerusalem, which the Israeli government illegally annexed in 1980, the Security Council, in resolution 478 (1980), determined ‘that all legislative and administrative measures and actions taken by Israel, the occupying Power, which have altered or purport to alter the character and status of the Holy City of Jerusalem, and, in particular, the recent “basic law” on Jerusalem are null and void and must be rescinded forthwith,” wrote Dr. al-Qudwa. Therefore, it’s clearly observable that Israel, which the Security Council explicitly calls an “occupying power”, has predicated its existence on the illegal occupation of the lands which don’t belong to it. All the documents and evidences testify in condemnation of Israel’s occupation of the Palestinian. Aside from the very issue of occupation, different aspects of Israel’s treatment of the Palestinian citizens violate the international law. Since the day of Nakba, the day when the Israeli state came into existence, serious restrictions were imposed on the Palestinians intending to travel across the Occupied Territories, the Gaza Strip and West Bank. By putting roadblocks, checkpoints, dirt piles, concrete blocks, ditches and metal gates on the roads, the Israeli forces forbid the Palestinian citizens from commuting over the Israeli cities and the Occupied Territories. The Israeli settlements on the Palestinian lands are another case of the violation of international law by the lawless Israeli regime. According to the Israeli ministry of interior, there are 121 settlements in the West Bank, East Jerusalem and Golan Heights, all being lands illegally occupied by Israel. Around 350,000 Jewish settlers live in these construction units. According to the reports published by the Council for European Palestinian Relations, the settlements are illegal and contrary to international law from different aspects. Israel is implementing many other policies which in turn run counter to the principles of international law. Its discriminatory measures against the Palestinians including the racial profiling of the Arabs, its refusal to permit the Arab citizens to join their families in the Occupied Territories, the policy of systematic isolation of the Palestinian citizens in their lands, its continued blockade of the Gaza Strip which is leading to a human catastrophe in the densely populated coastal enclave, imprisonment of the Palestinian citizens without charges or proper judicial trial, unwarranted disruption of medical care and destruction of the public and private properties of the Palestinians are all instances which show that Israel doesn’t attach any importance to the international law, and there’s nobody to hold it accountable, as well. Such practices resemble the crimes of the apartheid regime of South Africa and fit the United Nations’ definition for apartheid. However, whenever the international community reached a consensus to condemn Israel for its criminal actions, it was the United States that used its veto power and acted as a representative of Israel at the Security Council to protect the interests of Tel Aviv and prevent the world powers from incriminating it. Former Time Magazine Bureau Chief in Israel Donald Neff has noted that the United States used its veto power on behalf of Israel 32 times and blocked the resolutions which either condemned Israel’s actions or called on it to adopt a certain measure in favor of the Arab people. 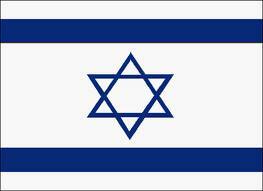 It sounds like Israel is itself a member of the Security Council with a veto power. What is clear is that as long as the United States doesn’t allow the world to stand firm against Israel’s criminal and illegal conducts, the international law will continue to be ridiculed and undercut.